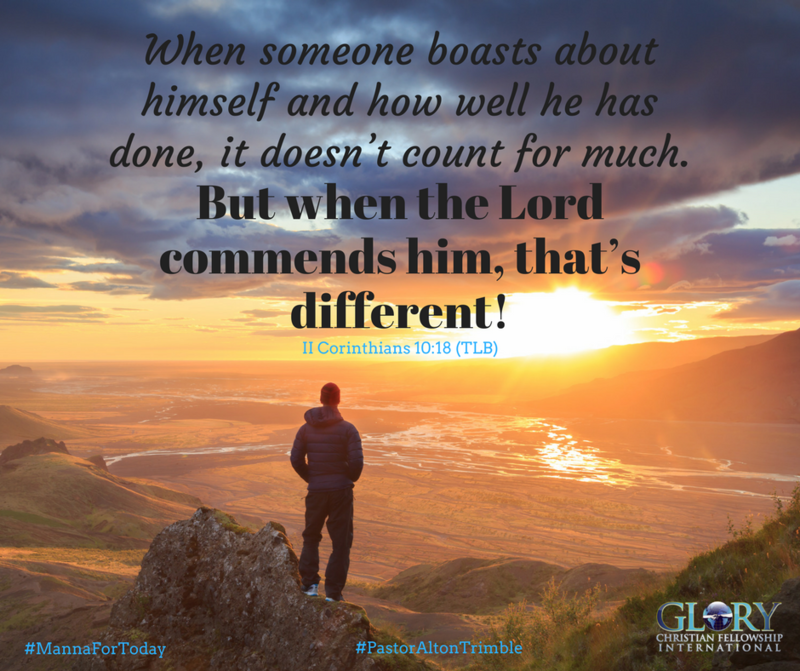 II Corinthians 10:18 – When someone boasts about himself and how well he has done, it doesn’t count for much. But when the Lord commends him, that’s different! Isn’t it interesting how easily we can slip into self-justification and approval as if they are sustainable? It doesn’t matter what we say or what others say, the only opinion on the planet that matters is what God says. The only thing we accomplish by getting stuck on human’s opinion is wasting time getting to what’s really important. Practice going to God first and cut out the middle man including you! Very early in life we learn the sting of being alienated. It happens as children decide they no longer want to play with us or as we get older we may not be selected to be a part of something our peers are engaged in; sports, cheerleading, various groups and activities. Some people, as adults, still suffer from wounds received in childhood related to others overlooking them as their choice. It doesn’t stop when we become adults; we are rejected in many ways and we can allow that rejection to shape our lives and livelihood. 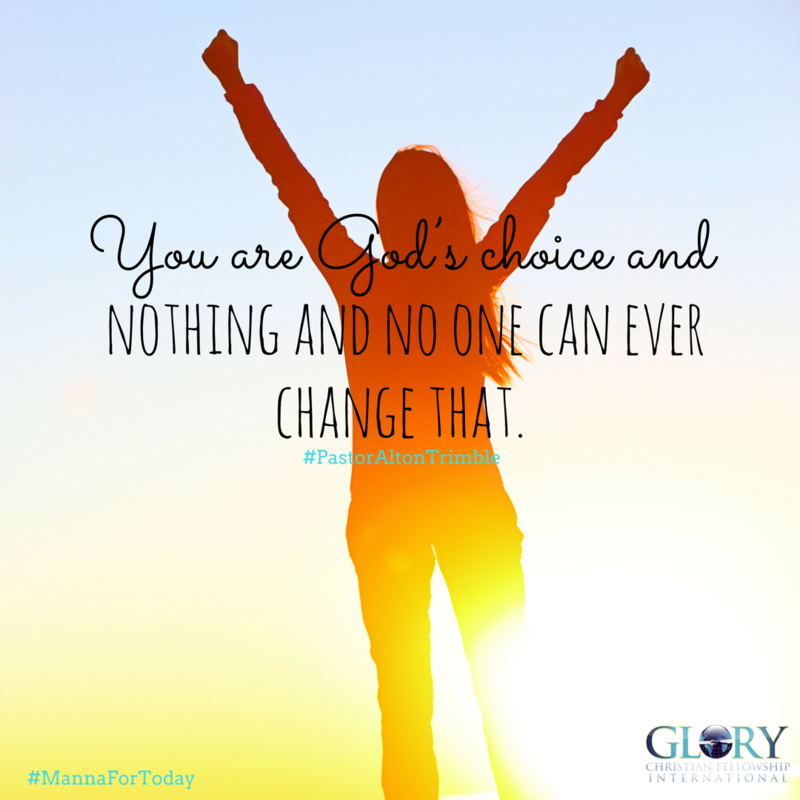 In the midst of all this potential rejection rises SOMEONE who chooses you when He has not been your choice. Friend, if no one else in life ever chooses you, if you are a believer, you have been chosen by Jesus Christ, Himself. I don’t know about you but for me, it just doesn’t get any better than that. Not only has Christ made us His specific choice but He has also appointed us to the ministry of productivity and that with sustainability. 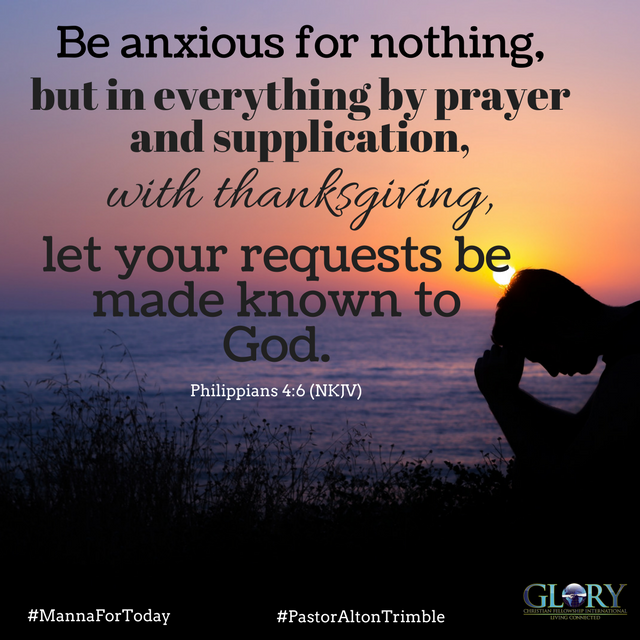 If that is not enough, He then invites us to ask the Father for whatever we need in His name and assures us that the Heavenly Father will give it to us based on our use of His name. What a privilege and opportunity being His choice has afforded us! Unity requires like-thinking; like-thinking always includes cooperation, communication and imagination. 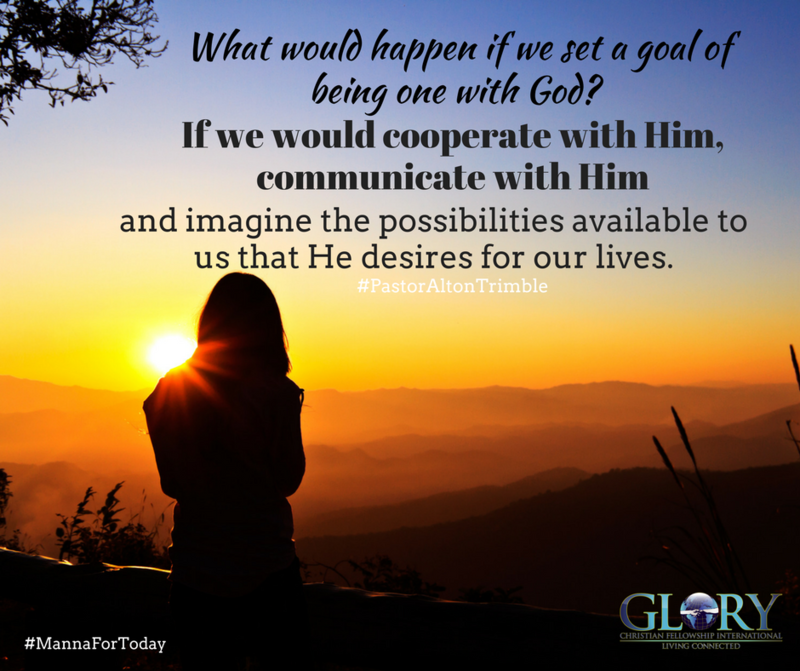 What would happen if we set a goal of being one with God? If we would cooperate with Him, communicate with Him and imagine the possibilities available to us that He desires for our lives. I can tell you what would happen; we’d be the best we could be in every aspect of our lives. 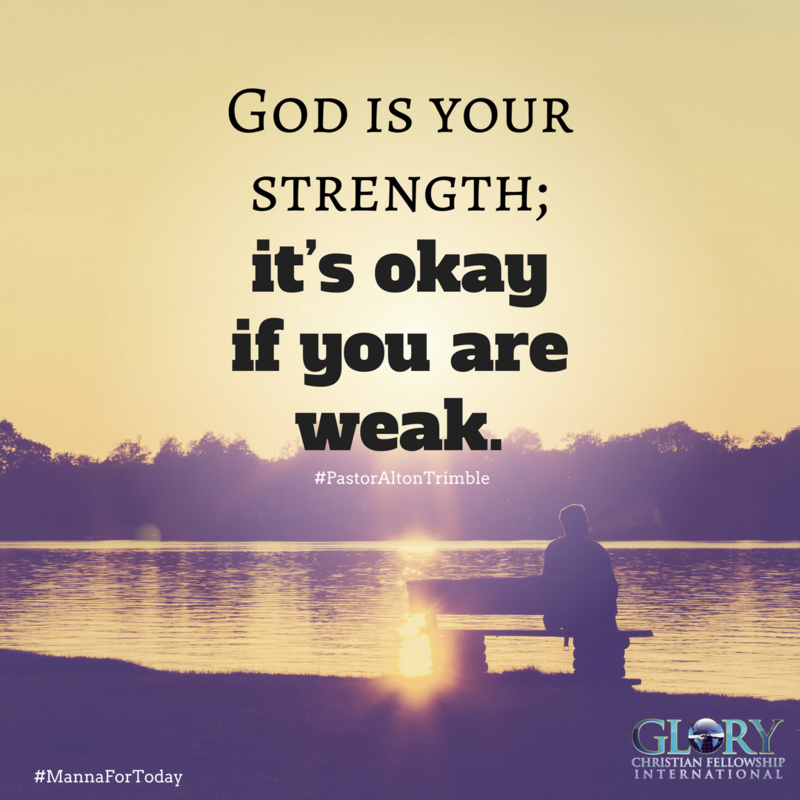 Pray right now and ask God to guide you in setting and maintaining a goal of oneness with Him. Enjoy the journey! Hebrews 11: 1-3 – Faith means being sure of the things we hope for and knowing that something is real even if we do not see it. 2 Faith is the reason we remember great people who lived in the past. 3 It is by faith we understand that the whole world was made by God’s command so what we see was made by something that cannot be seen. In life we can sometimes seem unable to see the things we hope for. Our marriage may not be where we want it to be; our children may be a challenge; health, finances, career and a host of other things just appear to be out of focus. So what do we do? We change our lens! When things seem out of focus we change our lens. 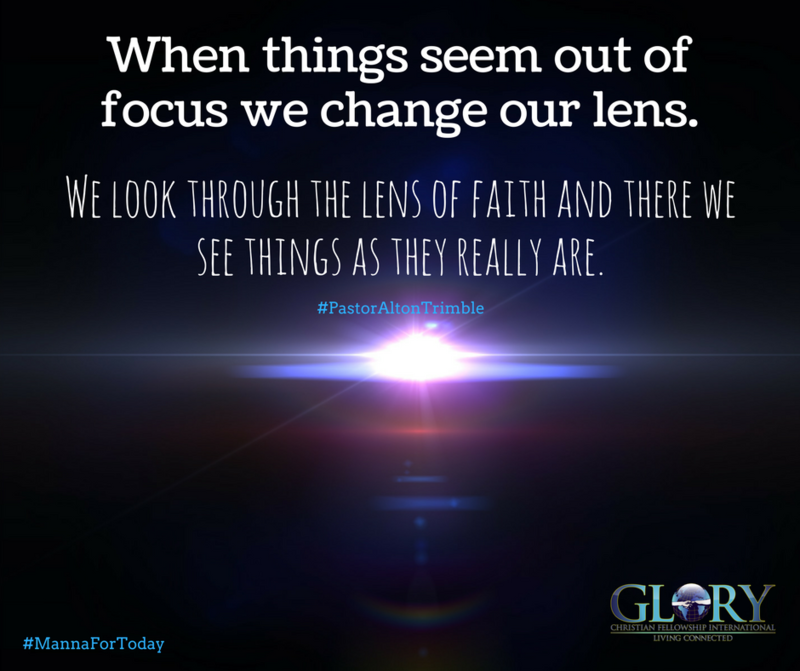 We look through the lens of faith and there we see things as they really are. Our faith gives us the ability to see the unseen, to speak what has been unspoken and to possess the unpossessed. 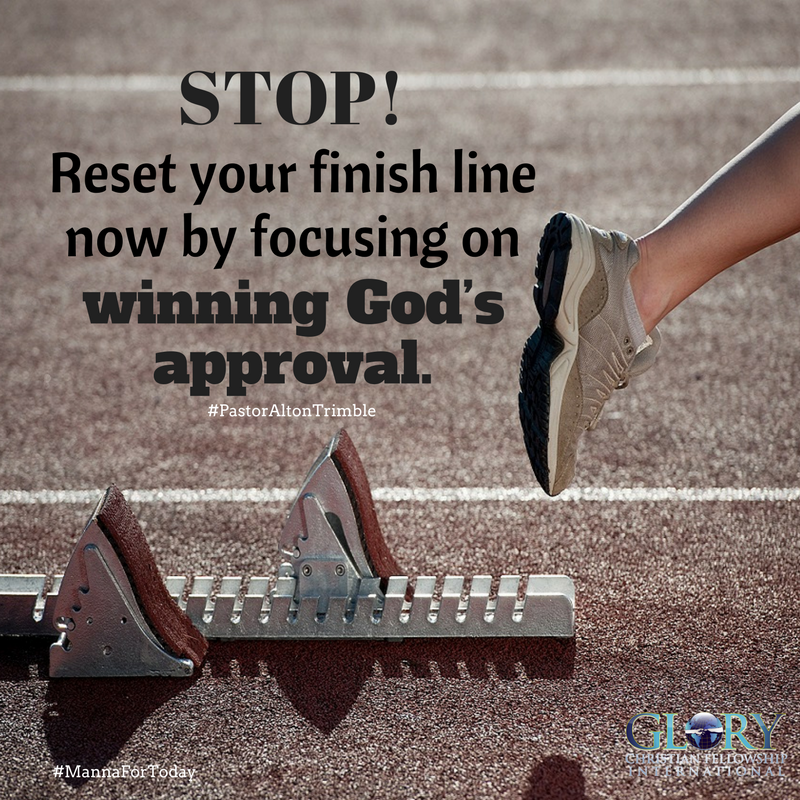 Begin today with a faith focus and bring into view what has not been seen; declare what has not been declared in Jesus’ name.